Cake Poker Gold Digger Tournaments are running daily and feature more than $25,000 in prizes to be won up until 29th November. 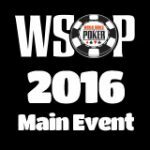 There are a total of twenty daily tournaments, players can buy-in to these events with their gold chips or cards. Existing players can use the Cake Poker Reload Bonus Code for a 50% reload bonus up to $300. 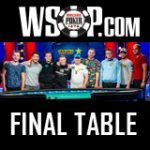 New players get a 200% first deposit bonus up to $2,000 when signing up with the code below. 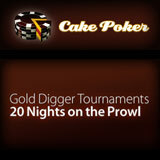 Play for your share of more than $25,000 in cash and prizes in the daily Cake Poker Gold Digger Tournaments. Use your Gold Cards and Chips to buy-in to these events which run from 10 - 29 November 2012. Cake Poker Gold Cards are awarded when a cash game table reaches a pre-determined rake amount, Gold Cards are randomly issued to players at that table. Cake Poker Gold Cards can also be purchased for a few cents from the Cake Exchange where you can buy and sell your gold cards. 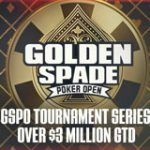 There is a special Turbo Gold Cards promotion running where players can win up to three times the amount of Gold Cards awarded on the cash game tables between 4 - 8 pm daily. Players can collect Cake Poker Gold Chips buy playing real money poker games earning Frequent Player Points. Get 1 Gold Chip for every 100 FPP earned. This bonus code is valid until 19th November 2012, use the bonus code when making a deposit.